Gary Taubes: The Case Against Sugar. Knopf, 2016. The title of this book says just what it is: a legal brief arguing that sugar is the cause of just about everything that ails us: obesity, type 2 diabetes, and heart disease, of course, but also cancer, high blood pressure and, therefore, stroke, as well as gout and Alzheimer’s disease. This book makes a different argument: that sugars like sucrose and high-fructose corn syrup are fundamental causes of diabetes and obesity, using the same simple concept of causality that we employ when we say smoking cigarettes causes lung cancer. It’s not because we eat too much of these sugars…but because they have unique physiological, metabolic, and endocrinological (i.e. hormonal) effects in the human body that directly trigger these disorders. Sugar, Taubes says, is the basis of a simple unifying hypothesis—insulin resistance—to explain all of these conditions. To make this case, he provides vast amounts of evidence: historical, observational, and interventional. Is he right? Many of his hypotheses are testable and it is greatly to his credit that he has organized the Nutrition Science Initiative (NuSi) to do just that. Taubes is an excellent writer, clear and compelling, and he covers an enormous territory here, from slavery to manipulation of research by the sugar industry. I worry that focusing on one substance—sugar—smacks of “nutritionism,” reducing the complexities of dietary patterns and health risks to just sugar. I also think questions remain about the dietary context in which we consume sugar, particularly calories but also complex carbohydrates (starch), which gets digested to sugar—glucose. Should we not be worried about excess glucose on its own? If I understand the last chapter correctly, Taubes ducks the question of how much sugar is OK to eat. Or maybe it’s not ducking. Maybe what he is saying is that the only safe level of sugar is none. If so, that is well below the 10% of calories recommended as an upper daily limit by the US Dietary Guidelines and the World Health Organization on the basis of those committees’ reviews of the science. Let’s get those hypotheses tested. In the meantime, I am all for eating less sugar. 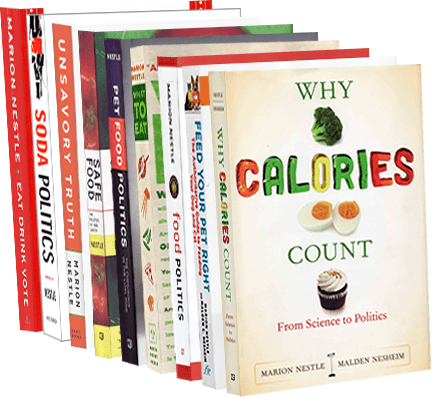 If this book encourages people to cut down on sugar, it’s all to the good. The Associated Press reporter Candice Choi has a special interest in industry-funded research (as I do) and has been using emails obtained through FOIA requests to document connections between funders and researchers that otherwise would not come to light. Yesterday, she reported some follow up on the article I was surprised to see published in the Annals of Internal Medicine—the one I wrote about in my last post. Mars is saying this even though emails show that two Mars executives knew about the study last year. Mars now said it will make clear to ILSI hat it does not support such work. ILSI’s executive director says ILSI devised the concept for the study, but the paper originally said that the authors wrote the protocol and conducted the study independently from the funder. Oops. When confronted with the Associated Press emails “showing the group sent the authors ‘requested revisions’ on the proposal last year,” the journal corrected that statement to make clear that ILSI “reviewed and approved” the protocol. One of the authors did not fully disclose her consulting and research agreements with companies that make high-sugar foods. The AP had emails demonstrating this author’s financial ties to Coca-Cola and to ILSI for a previous grant on the same topic. The Annals now show a more complete disclosure statement. The point of all this is that when food companies sponsor research, they sometimes are much more involved in it than they would like to let on. Mars is right. These kinds of incidents make all industry-funded research look bad. Mars should know. It funds research to make chocolate look like a health food. USDA has just released a report on the adoption of these three GM crops in the U.S. Ordinarily, USDA just tracks corn, soybeans, and cotton. Canola hovers at around 90% of total, sugar beets at 95%, and alfalfa (a perennial) is just getting started at a bit over 10%, but rising. Why? According to data summarized by USDA, yields are higher and herbicide use and labor costs are lower. Aren’t you happy that it’s that sweet, gooey time of year again? 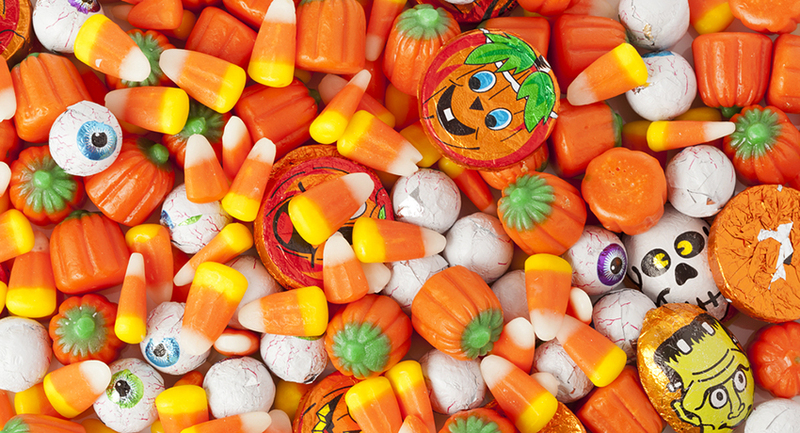 Candy and Halloween didn’t always go hand in hand. It wasn’t until the 1950s that that candy industry started to push the stuff as a way to boost flagging fall sales. We eat so little candy that it makes no difference to our health. Kids who eat candy have healthier body weights than kids who don’t. Chocolate is a health food. Kids do love candy, as this marketing report tells us. I’ll bet these favorites have everything to do with advertising budgets. Does candy have a place in healthy diets? Sure, but in very small and occasional amounts. Good luck getting through tonight’s trick-or-treat. PepsiCo, yesterday, announced that it had launched its sustainability report with an agenda for 2025. At least two-thirds of Pepsi’s global beverage portfolio volume will have 100 calories or fewer from added sugars per 12-ounce serving. The reporters’ questions assumed that Pepsi plans to reduce the sugar in its full-sugar beverages. Maybe, but that’s not clear from the press release or the report. The baseline: What proportion of Pepsi drinks already have fewer than 100 calories per 12 ounces? Pepsi makes loads of beverages that meet that target—Gatorade, bottled waters, diet sodas. The marketing plan: Will the marketing dollars shift from full-sugar to lower-sugar options? I ask, because Pepsi’s track record on sugar reduction is not encouraging. In 2009, Pepsi set a goal to reduce the average amount of added sugars in its drinks by 25% by 2020. The result? An increase in average sugars of 4% so far (Pepsi got into trouble with investors who wanted marketing focused on full-sugar beverages). Pepsi’s sustainability report says the company is working hard to find ways to reduce sugars and “these efforts could yield significant progress.” Let’s hope they do. I hope the company does these things, despite its unfortunate record on sugar promises. We need to wait and see whether the company delivers on this one. But I’m thinking: Surely this announcement must be designed to head off the ongoing soda tax initiatives. Pepsi is pouring millions of dollars into fighting the taxes directly and through its membership in the American Beverage Association. Pepsi wants to have things both ways: to appear to promote healthier beverages while it is fighting public health measures to reduce soda intake. Let’s give the company the benefit of the doubt and hope it delivers on its promises—while doing everything we can to get those taxes passed. The last time Pepsi tried to position itself as doing something for health, its investors got very upset,” Marion Nestle, a professor in the Department of Nutrition, Food Studies & Public Health at New York University, said in an email. In 2012, investors got mad at PepsiCo CEO Indra Nooyi for focusing on getting revenue from healthy products, Business Insider reported. The study, by UCSF investigators Cristin Kearns, Laura Schmidt and Stanton Glantz, is based on their archival research. They found documentary evidence of shocking manipulation by the sugar industry of a Harvard review of studies on dietary factors and heart disease published in the New England Journal of Medicine in 1967. Kearns et al. discovered that the sugar industry trade association paid investigators at Harvard an impressive amount of money ($48,000 in today’s dollars) to produce research demonstrating that saturated fat—not sugar—raises the risk of heart disease. In my commentary, I reproduced a figure from the sugar-funded 1967 reviews. This summarizes the epidemiology showing that both sugar and saturated fat intake were then indistinguishably associated with increased mortality in 14 countries. Nevertheless, the reviews exonerated sugars and blamed saturated fat. Yes, I know that association does not necessarily mean causation, but I’m guessing that the epidemiology still shows that both sugars and saturated fats are associated with increased heart disease risk. My interpretation: We would all be healthier eating less of sugary foods and fatty meats. The article by Kearns et al. We acknowledge that the Sugar Research Foundation should have exercised greater transparency in all of its research activities…Generally speaking, it is not only unfortunate but a disservice that industry-funded research is branded as tainted…We question this author’s continued attempts to reframe historical occurrences to conveniently align with the currently trending anti-sugar narrative, particularly when the last several decades of research have concluded that sugar does not have a unique role in heart disease. Most concerning is the growing use of headline-baiting articles to trump quality scientific research—we’re disappointed to see a journal of JAMA’s stature being drawn into this trend. CSPI’s comment on Kearns et al. My daughter, Rebecca Nestle, sends these from Valencia Street, San Francisco, August 2016.